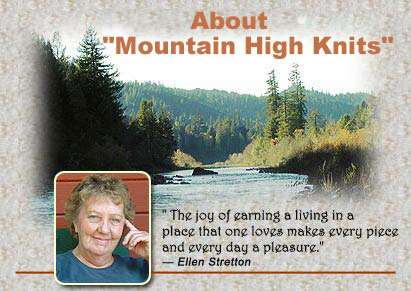 Mountain High Knits originated as a dream of Ellen Stretton's. 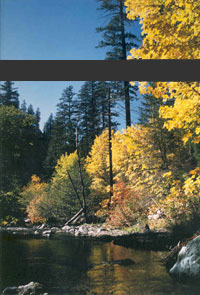 Ellen lived in Bridgeville, a town situated along State Highway 36 in the mountains of Northern California. Commercial development is nearly impossible in this area because of the rugged terrain and limited access. Transportation time is also a major issue for workers. With the logging and fishing industries in a downslide due to depleted supply, jobs are hard to come by for the men in this area. With this in mind, Ellen led a group of women who have looked to machine knitting in their homes as a viable source of income. 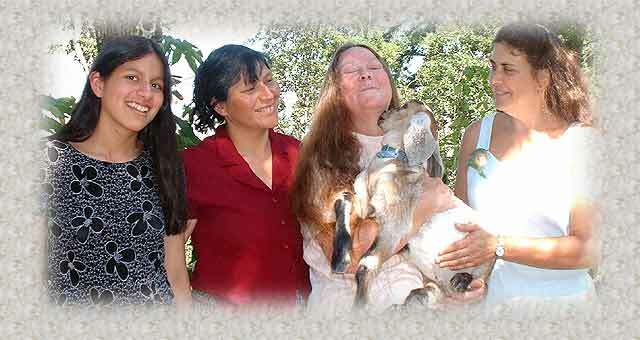 Sharon Nani, owner of The Knit Tree supported this effort by writing a knit training program and drafting knit baby patterns specifically for the needs of Mountain High Knits. Training workshops for the knitters from Bridgeville followed and a successful group of home knitters evolved with Ellen Stretton providing the leadership role. 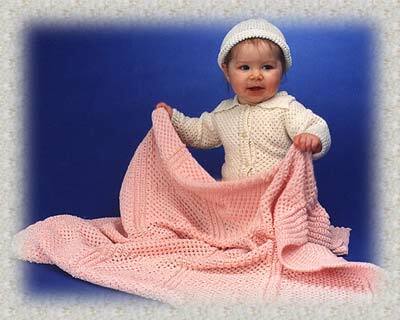 The love of natural fibers led to the choice of cotton for their baby knit products. You can find the Mountain High Knits cotton baby knits in the Bread & Butter Basics Showroom and the Baby's Corner in The Knit Tree Store. Mountain High Knits is presently a Division of The Knit Tree. Sharon Nani, owner of The Knit Tree continues to support the efforts of the Little Knitters who are presently knitting these fine cotton baby knit blankets, caps, booties, and sweaters..
Read the article Ellen Stretton wrote "Why Cotton for Babies"